This is Edward. 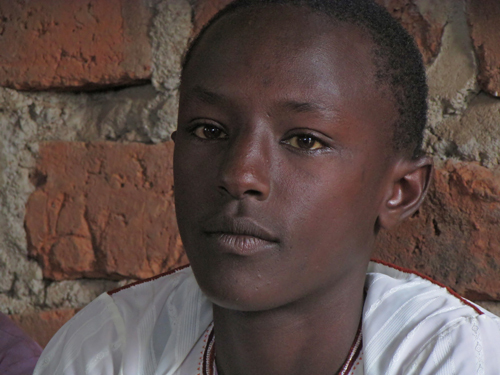 He is the oldest of three kids living with a father who is intermittently ill and absent from the family. For much of the past three years he and his siblings have had to manage on their own. 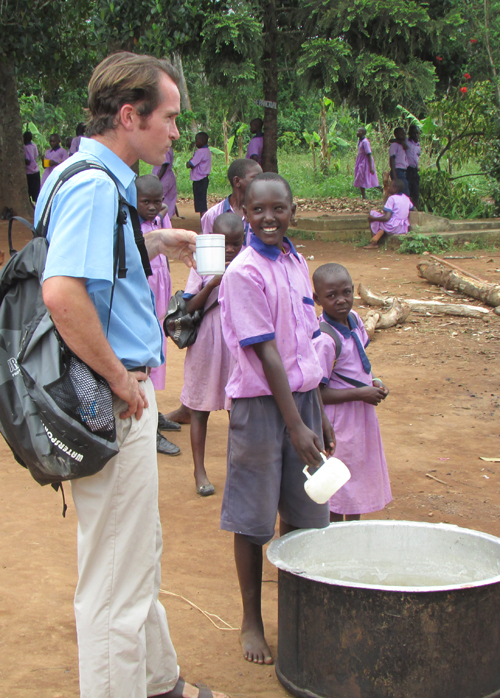 Christopher and his older brother, Edward at the Hope for Youth School in Uganda. Edward and his brother, Christopher, are just finishing up their studies at the Hope for Youth School in Uganda – a school that has been supported in several ways by the CanAssist African Relief Trust. Fortunately the staff and administration at the Hope for Youth school have been there to offer an element of stability to the lives of these kids and a bowl of porridge mid-day when food was scarce. I have visited the school three or four times and have watched Edward and Christopher grow up. They both are involved with the traditional dancing and drumming entertainment that the school. 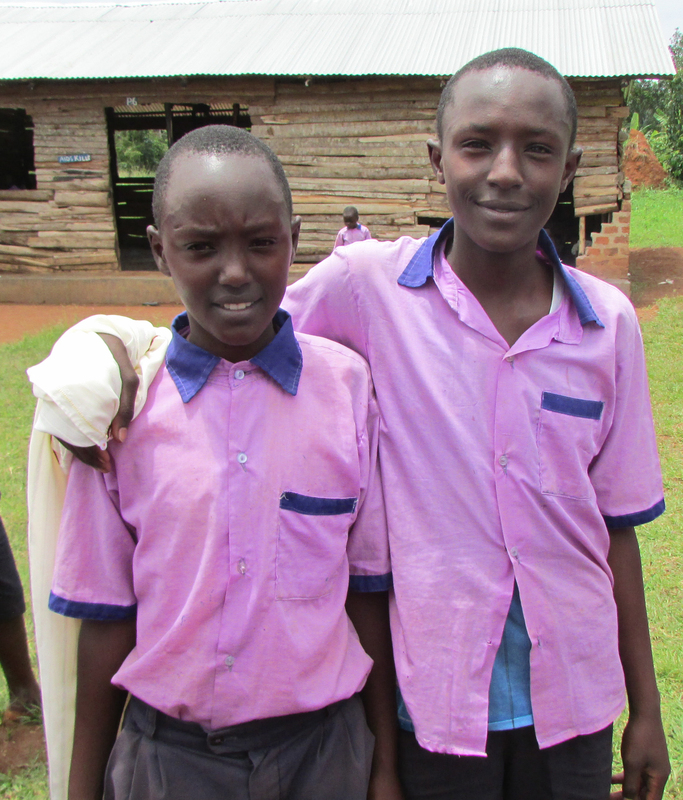 When I visited the school in September I asked the boys if they planned to go on to Secondary School. Their response was downturned eyes and shrugged shoulders. Their family has no money for them to attend secondary school (it would take about $550 for each boy to provide tuition and books for a year). I also met a girl named Prossy who has received top marks at the school but who has no money to continue her education. 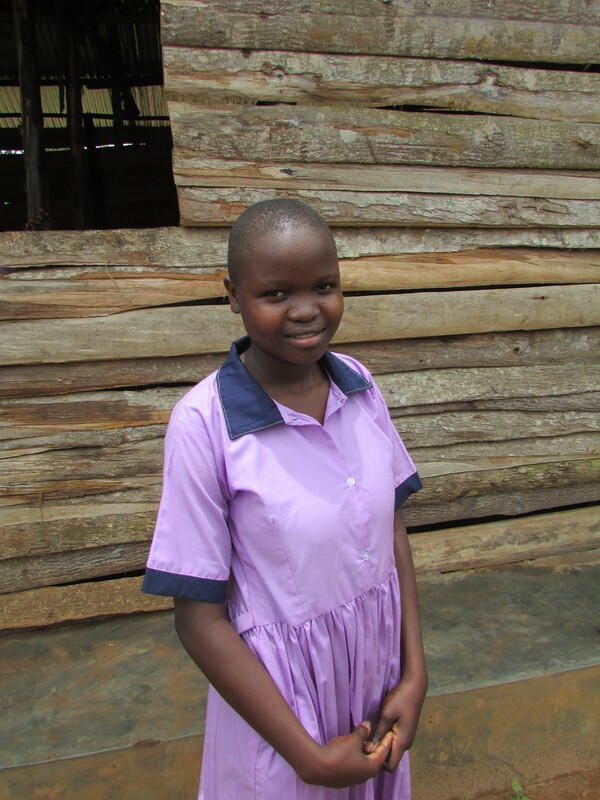 The teachers report that her academic performance has also been good but she lacks the resources to go on to secondary school. What will become of these kids, I wonder. This is a familiar story. African kids may get through elementary school but to go on requires some tuition, books and uniforms and this is often out of reach for a family living in poverty. Even fewer go on to post-secondary education. Most rely on outside support to continue their education. But there are so many pupils in this circumstance all desperate for some assistance. Enjoy Christopher, Edward and some of their classmates as they do some Ugandan Traditional Dancing at the Hope for Youth School in Uganda. And realize how lucky we are that most of our students are able to complete secondary school with public funding regardless of their background or family situation. This entry was posted in Uncategorized and tagged Africa, Dance, Geddes, Hope for Youth, John A Geddes, johnageddes, Mukono, music, school, Students, Traditional dance, Uganda by johnageddes. Bookmark the permalink.